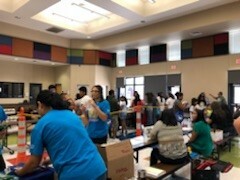 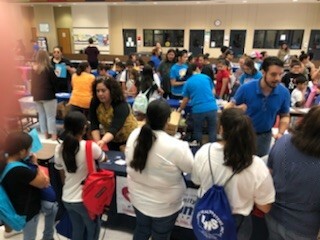 On Wednesday, July 25th, CCSCT participated in the Zavala County 8th Annual Back to School Health & Social Services Fair at Zavala Elementary. 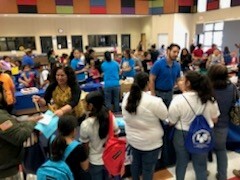 The Back to School Fair was established to provide information, services and school supplies for families in our community who are in need of assistance. 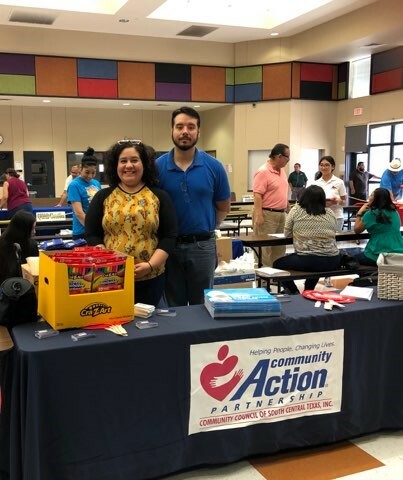 CCSCT County Coordinators, Gilbert Betancourt and Reyna Flores, were present to represent CCSCT and hand out over 140 school supplies. 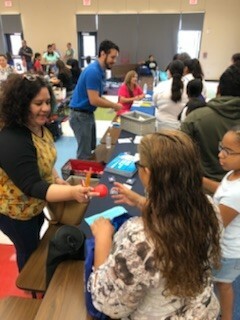 In addition, they handed out CCSCT branded items such as pens and fans, as well as flyers and business cards with information to contact CCSCT.